Vegan MoFo Day 3- Worldly Wednesdays-Sushi Burrito! This recipe is one of those things that you can improvise and improve whenever you have leftover rice and other delicious ingredients such as edamame, avocado, mango, or whatever other vegan sushi ingredients you can think of…the idea is similar to the summer rolls I make, but wrapped in Nori instead. avocado if desired, I didn’t use it this time around, but it would be really good! With a metal whisk in a medium sized bowl, stir the peanut butter, soy sauce, and orange juice until combined together and cohesive without the peanut butter being thready or clumpy, it takes a bit of time and elbow grease to get it that way. Stir in the ginger and the garlic and wasabi powders. Place the nori sheet onto a large plate. Drizzle the peanut sauce on top. Place the rice in the middle in a vertical strip, as you would when making a burrito. 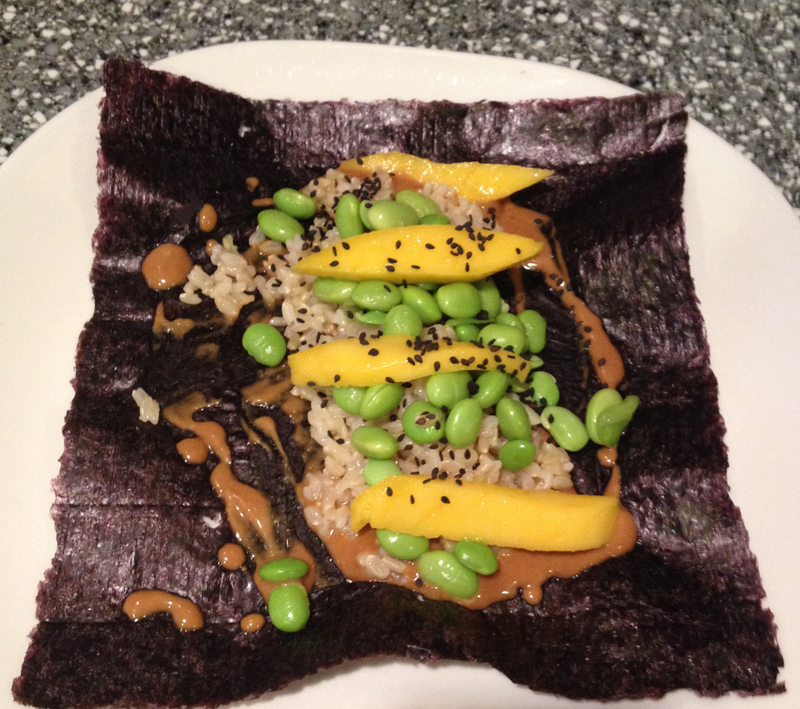 Sprinkle edamame on top of the rice, then place the mango on top, and finally, sprinkle the sesame seeds on it all. 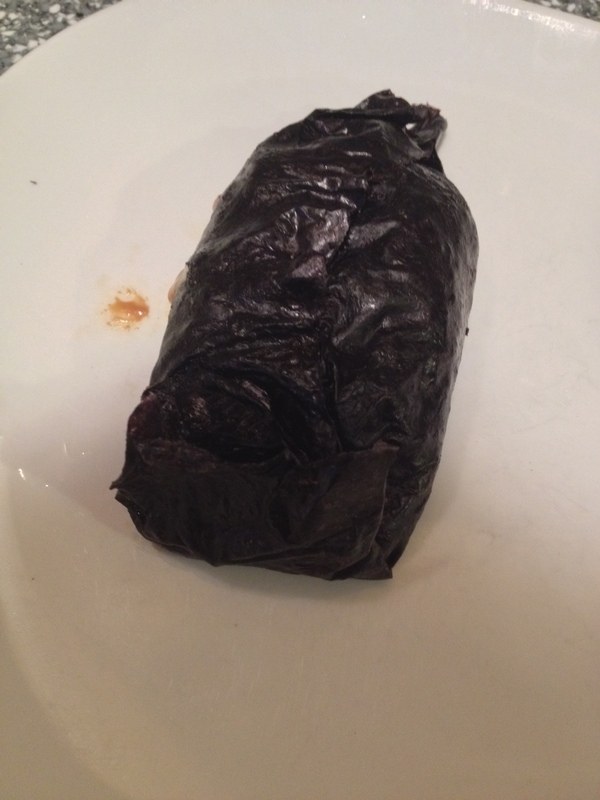 Roll the nori sheet into a burrito wrap.